I was sitting on the floor, with my back up against his crib, clutching his tiny newborn outfit to my chest. Tears fell heavily and loud sobs echoed through the empty room. This nursery was so beautiful; but without him, it’s just a room. I took a couple of days to prepare myself before I went inside. I knew it would be painful. We had spent months perfecting that nursery. We hung art on the walls. We filled baskets with toys, and a shelf with books. We had a dresser full of cloth diapers. His clothes were all hung neatly in the closet, organized by size. My rocking horse from when I was a baby was sitting in the corner. We poured our hearts into that nursery. We made it feel cozy. It was my favorite room in the house. Before Lincoln was born, I visited that nursery a few times each week. I dreamed of bringing him home. I imagined him playing and learning to crawl. I imagined him on my rocking horse. After losing Lincoln, my first visit to the nursery hurt pretty badly. I was overwhelmed by the sense of emptiness. 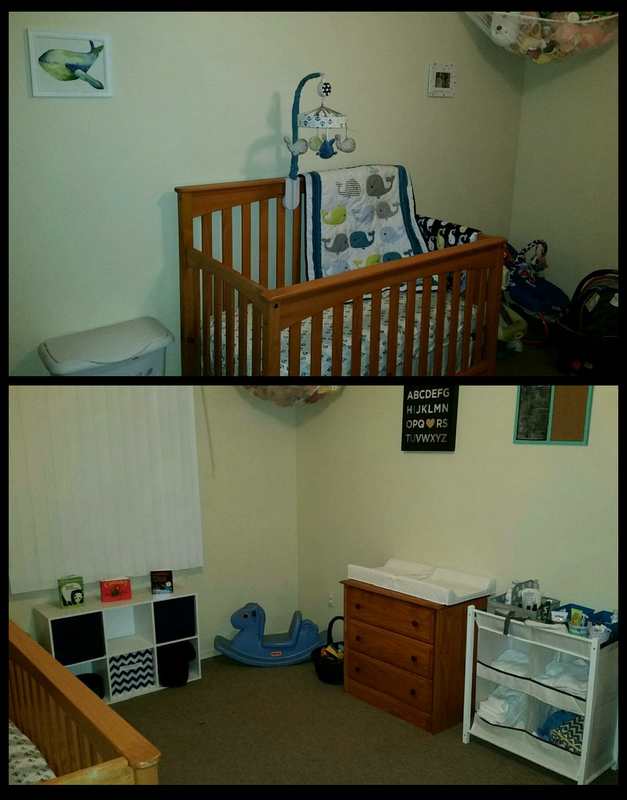 His nursery used to feel magical, and that magic was gone. The first 3 months, I spent a lot of time in that room. We kept it the same, except for the addition of Lincoln’s urn and a little handpainted memory box from the hospital. I would go in the room if I needed a good cry. I would go in to visit with Lincoln: to tell him how I love him, to tell him that I wished he were there with me. After 3 months, I was not ready to pack up his room. After 3 months, I still went in almost daily. But after 3 months, I had no choice. We got the news that our landlord had stopped paying the mortgage. We’d have to find a new place to live. I was angry and I was irritated. But mostly I was panicked. Moving meant taking his room apart. It meant packing it up and maybe putting it into storage. I set a date and I asked my mom to come help me pack up the hopes and dreams that I had for my son. There were very few items that I felt could go into cardboard boxes. His things did not belong in cardboard. They weren’t safe in cardboard. I bought heavy duty storage totes. We packed and labeled each one. We cried. Just like I wasn’t ready to say goodbye to my son that night in the hospital, I wasn’t ready to pack up his room. But I had to do both. In the new house, Lincoln’s belongings reside in their own separate room. But I didn’t unpack them. There is a part of me that wants to see his room all set up, but I can’t put myself through taking it apart again. Some might think I’d get rid of things. But it all means too much. When we have another baby, that child will be able to use some of their big brother’s things. They’ll sleep in his crib and snuggle his blankets. They will read the books with baby shower notes written on the inside covers. They will always get to have a piece of their brother. Until that time comes, his stuff stays safe in the room.